The music label intuition is devoted to the large variety of musical forms of expression throughout the world. Over 500 productions in excellent recording quality presented by internationally acclaimed artists bear testimony to that. Seven catalogues contain demanding recordings which have something to say to us. And since great art usually is not the art that honours but cross boundaries, the various musical forms that can be found in these recordings range between experimental classical music, traditional world music, groovy jazz music, relaxed ambient music and music for newly invented and rediscovered instruments. The enthusiasm for Mikis Theodorakis’ songs has remained unabated. 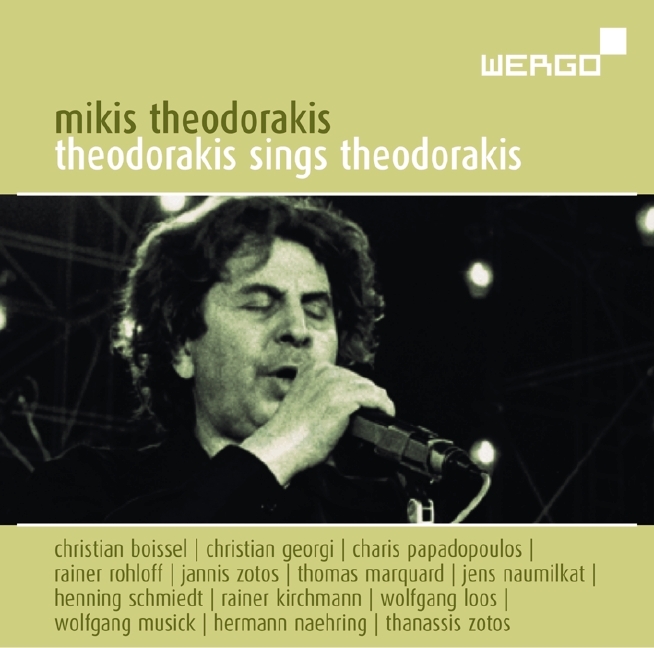 Now there is a re-release with some his most famous song compositions, sung by Mikis Theodorakis himself! 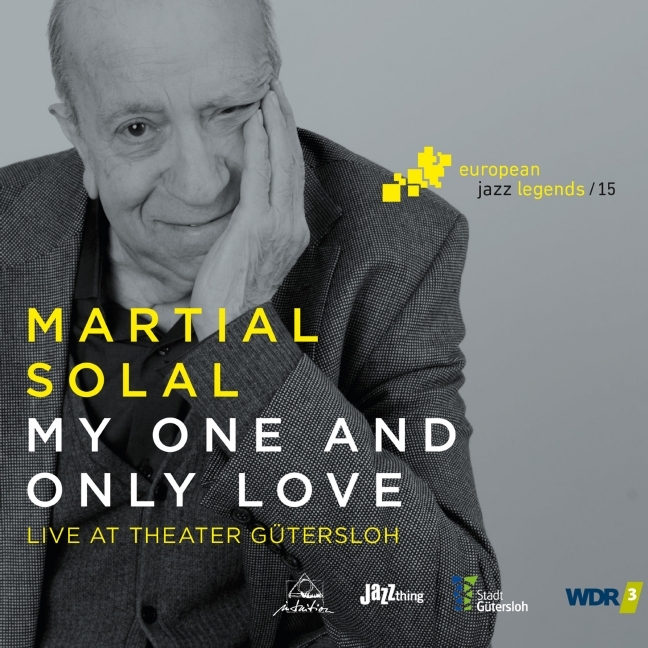 “Martial Solal has, in abundance, those indispensables of the musicians’ craft: sensitivity, creativity, and a prodigious technique. Most of all, he sparkles with refreshment.” These words of praise were written by his “soul brother” Duke Ellington for Solal’s US debut album IN 1963. More than half an exciting century later the legendary French pianist and composer once again proved why the Duke loved him madly. 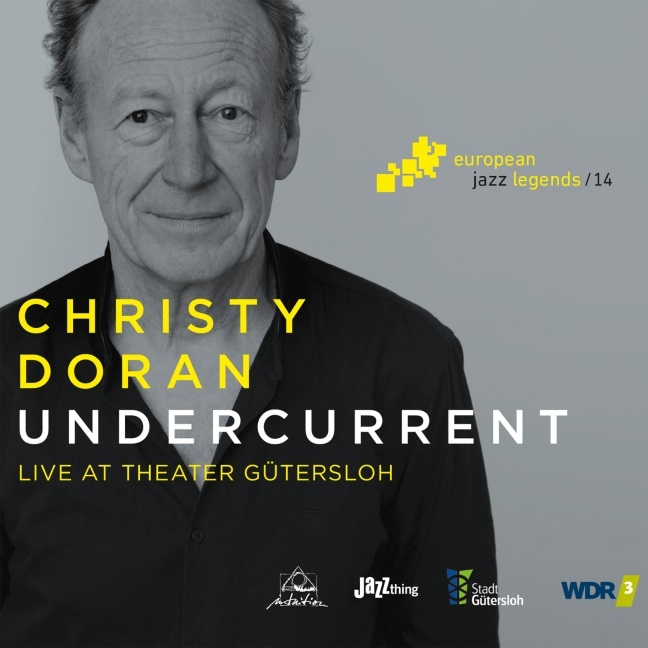 If Christy Doran looked anywhere near his age, the name of the group he presented in concert at the Theater Gütersloh in the summer of 2017 could easily be misread. But since the Irish-Swiss guitarist not only looks, but moves, sounds and thinks nowhere near his 68 years, this trio is surely not (primarily) a “fountain of youth”, but a collective, constructive, and ever flowing “Sound Fountain”. Music is a timeless force, constantly ebbing and flowing, a steady sea of sound. 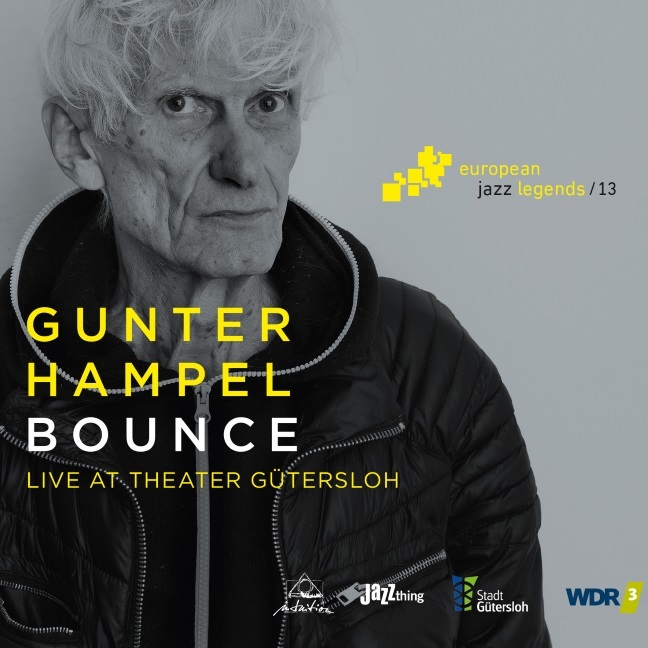 At once reliable and unpredictable, there are few people who personify the ever changing and evolving nature of music – of Jazz in its freer forms in particular – better than Gunter Hampel. Everything you need to know about Fred Frith can be found on this CD. It is in the music, in a trio with the Danish saxophonist Lotte Anker and the percussionist Samuel Dühsler from Switzerland. A tricky concept, improvisation, and one which the 68-year-old guitarist and composer from Yorkshire, who lives and teaches in Oakland and Basel, embodies. 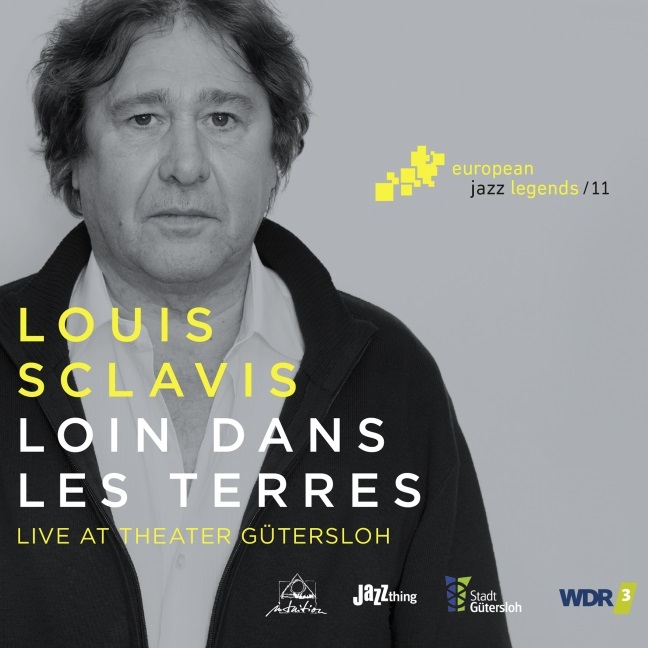 The concert documented on this CD opened the WDR 3 Jazzfest at the Theater Gütersloh on February 2, 2017, which also happened to be Louis Sclavis’ 64th birthday. As a present to himself and to his audience, he presented a new quartet that evening, with Sylvain Rifflet, who more than stepped up to the plate as the second reed-voice on saxophone, the excellent Christophe Lavergne on drums and Sarah Murcia on bass. Since they hit it off musically right away, they founded Trio Ivoire that has been exploring the connections between jazz and West African music ever since. 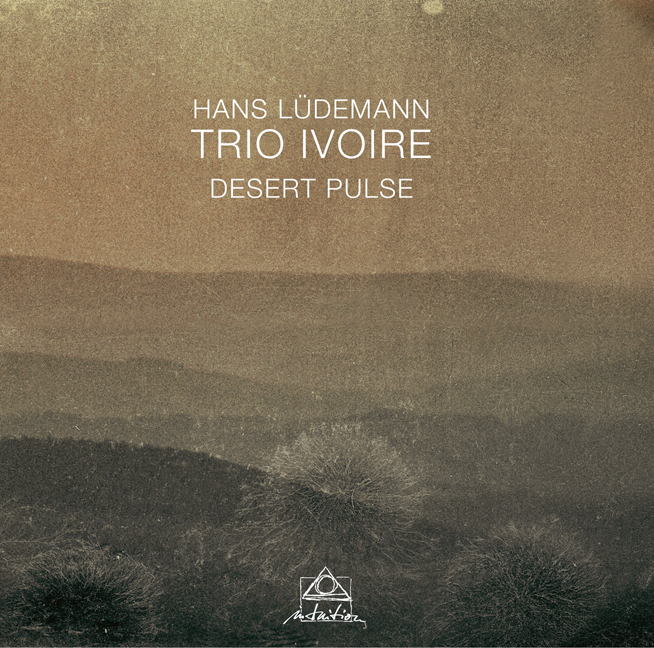 Aside from the trio the new album features guest musicians Reiner Winterschladen and Ballaké Sissoko, making the spectrum of sounds even more colorful. The result is music that builds bridges between Africa, jazz and Europe. With its relaxed pace, it represents a counterpoint to the hyped up music of the industrial north. American Jazz critic Nat Hentoff once made an example of Daniel Humair as one „who long ago destroyed the notion that European drummers can’t swing“. Daniel Humair brought a new group to his concert, a quartet made up entirely of former students of his from the Paris Conservatory. They made their former professor proud in a set of mostly Humair-compositions, with a completely improvised „Ballad“ by the group as the icing on the cake. 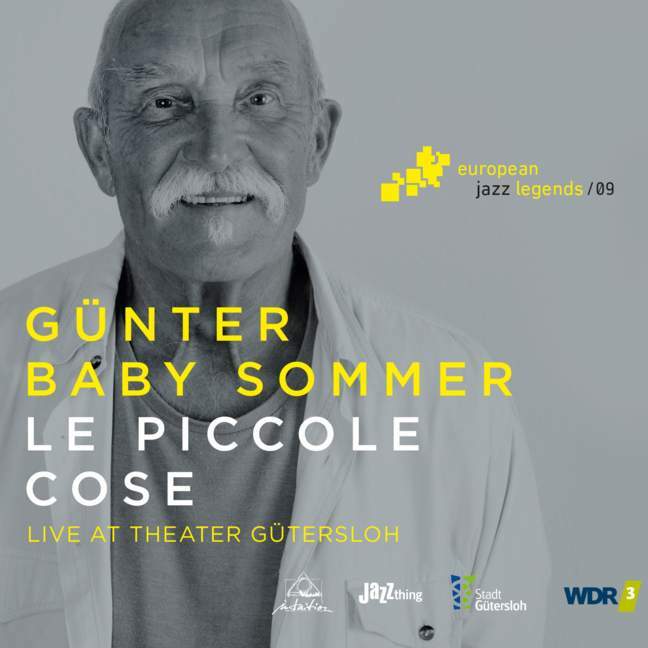 Günter „Baby“ Sommer is and has always been interested in widening the instrumental range of his drum set and discovering new repertoire. 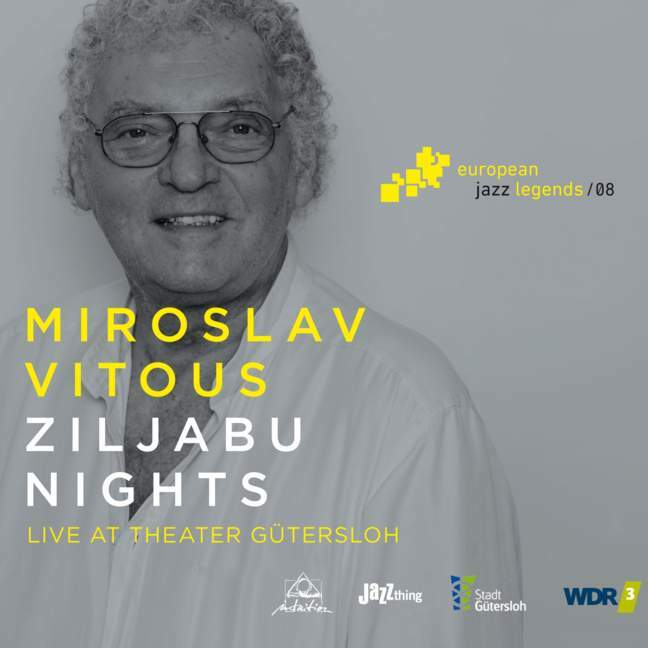 For this recording Sommer reunited a band he first played with at Jazzwerkstatt Peitz in 1979. Enrico Pieranunzi has had a long musical career with experiences deeply rooted in the history of jazz. In Rosario Giuliani Pieranunzi has met a musician with the same urge to achieve authentic expression. 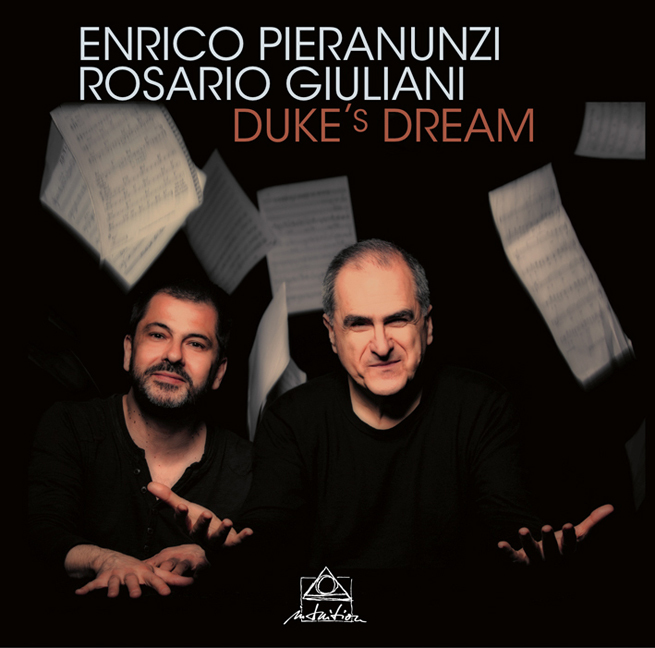 For Enrico Pieranunzi and Rosario Giuliani, their reflections on the music of Duke Ellington provide a vital impulse for a musical process in which they re-imagine the Duke’s music, make it contemporary, and give it fresh new colors. 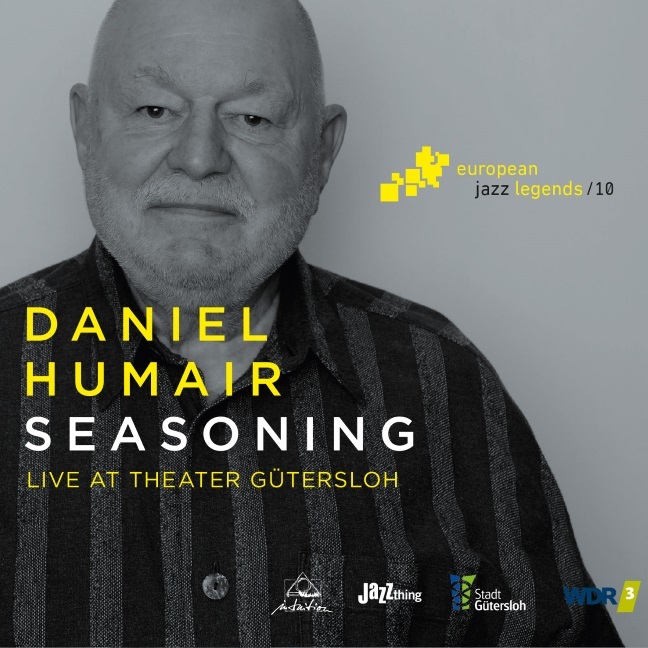 This live recording from the Theater Gütersloh presents him with this band – featuring Aydin Esen from Turkey on keyboards, Roberto Gatto from Italy on drums, as well as Gary Campbell from the US and Robert Bonisolo from Canada on saxophones, interplaying with Vitous on his singing upright bass. The music is a fascinating fusion of modern Jazz traditions and new musical ideas and concepts. 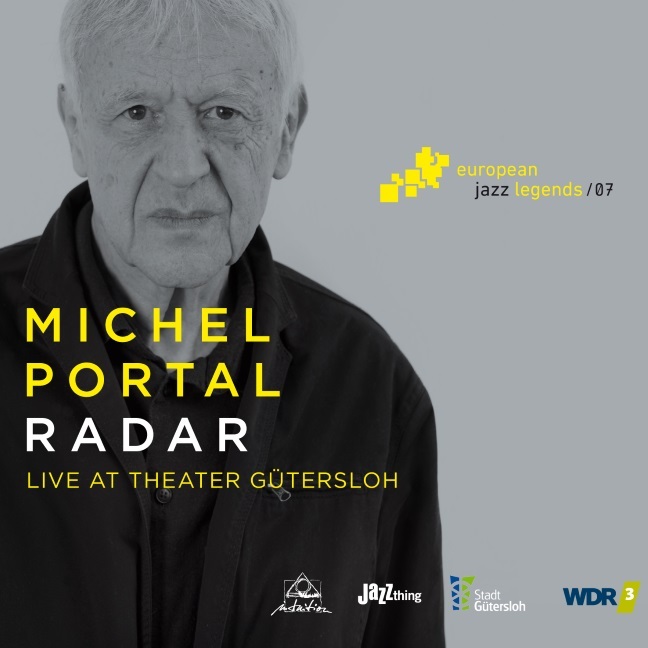 Michel Portal“s extended improvisations with the American pianist Richie Beirach were recorded for this CD on March 5th 2016 during a concert in the Theater Gütersloh and mark the first time these musicians ever played together – together with the recordings with the WDR Bigband they are further proof of the universality of the musical language called Jazz and the fascinating and infectious vitality of improvisation.